Deer hit the vehicle, vehicle got off in the dirt on the right side of the road, started to spin, went across the road, crashed into the ditch. Vehicle was considered totaled by the insurance company. 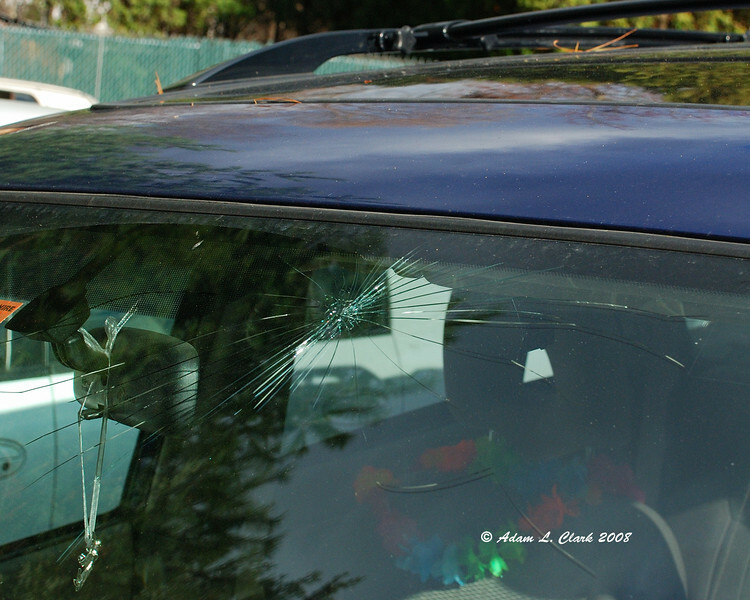 Cracked window possibly from deer leg?